Komox Men’s Baseball League recently held a beer garden with proceeds going to YANA! Once a year they hold a beer garden for charity and we are so thankful they selected us. So many of you came out to the Highland School field in Comox to watch the games and enjoy a cold one for YANA. Cheers to all of you! Colorful paint splattered high-fives go to 8-year-old Olivia for donating 100% of her Market Day face painting earnings to YANA. Thank you Olivia! And thank you also to your mom Jody of Home & Garden Gate for giving you a prime location and matching your face painting earnings for YANA! Gratitude to Superstore! 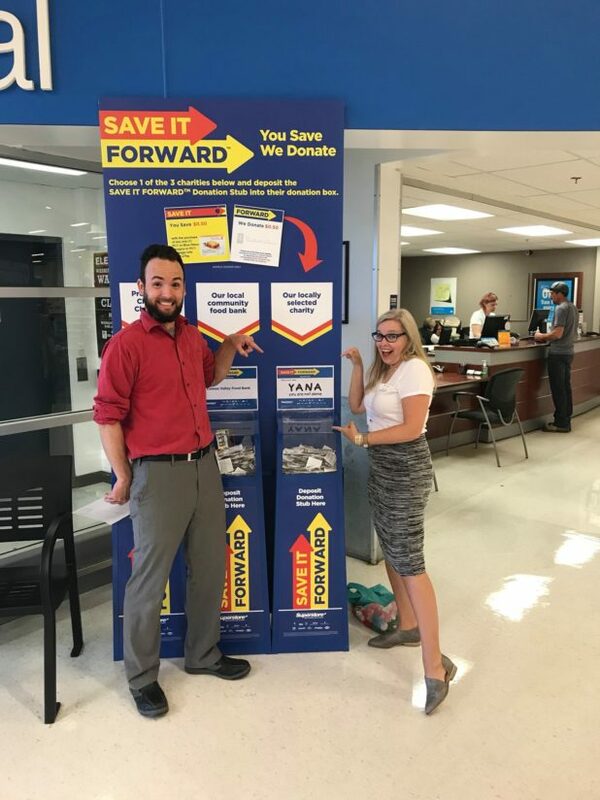 Every time customers used the Save-It-Forward coupons at Superstore between May 21st and July 11th you had an impact on our YANA families! Superstore matched your coupon value with a donation! Yippee for easy-peasy giving while you grocery shop. We love Gaglardi Academy! Thank you so much for thinking of us at YANA. Well done! 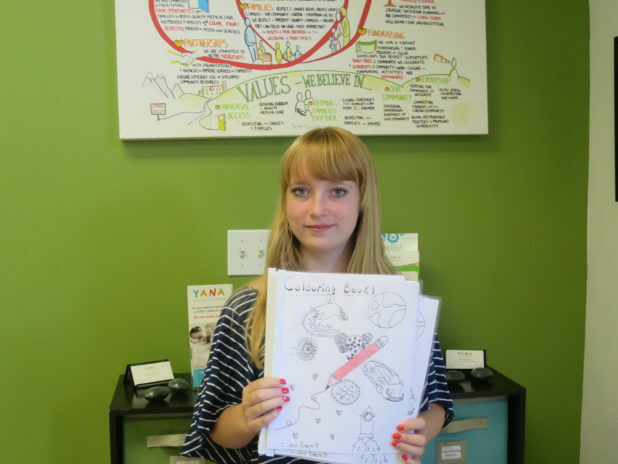 A grade 7 student thought of YANA and donated homemade colouring books leftover from her school entrepreneur project. We will offer them to YANA kids. High fives to you! Our gratitude to Cedar Grove Roofing Supply who donated funds to YANA raised through a charity drive. The Kusam Klimb is an annual event in Sayward, BC. The cheeky team that participated, known as Team “We Prefer Being On Top,” selected YANA as their charity of choice. Led by team captain Jennifer H, this team deserves to hear thanks all the way to the mountain tops! Thank you! Country Canine Care thought of us during their grand opening celebrations. 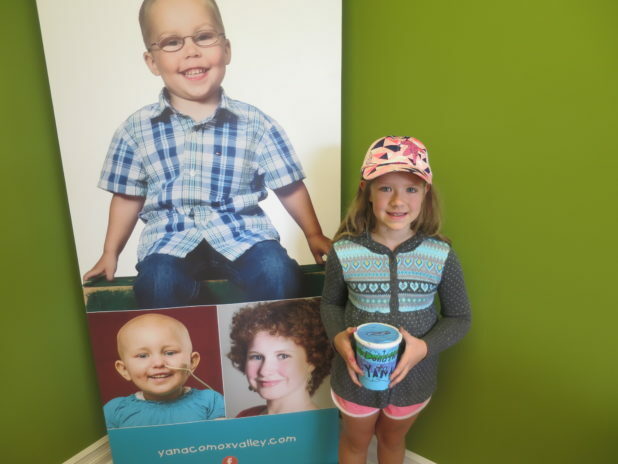 They provided YANA with the opportunity to raise awareness and collect donations. Bark! Woof! P.S. That’s thanks in dog. This is one of those cases of humanity for the win! Thank you to our local RCMP. A missing wallet was found and an reward was offered. The kind soul who found it didn’t want the money and asked our local RCMP to donate it to a charity instead. We’re grateful they chose YANA! Maximum-sized thanks goes to Max from the White Whale! 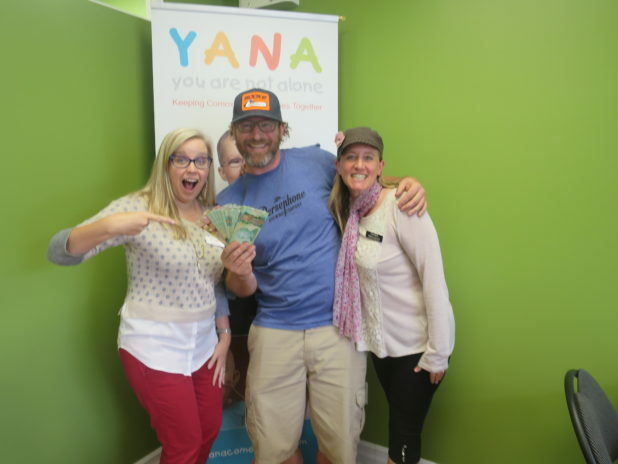 This YANA champion raised some serious dollars from the recent Caesar competition at the Shellfish Festival.